A screensaver seems like an old-fangled topic to fuss about. It’s not like the good old days when having the coolest screensaver on your desktop was a nerd statement. Most of us never knew that they existed to solve the image burn problem on the CRT screens of the day. Now you can use them just for aesthetic reasons. Or combine your creativity with screensavers Are Screensavers Still Relevant? When to Use Them (And When Not To) Are Screensavers Still Relevant? 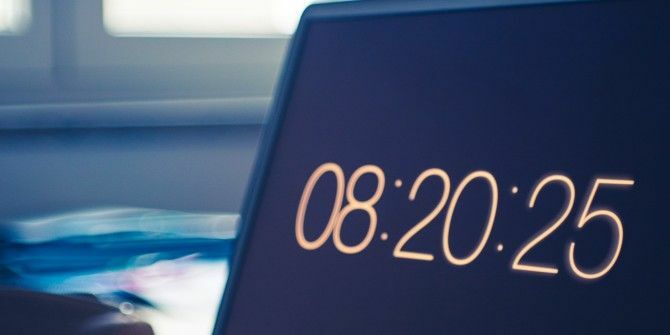 When to Use Them (And When Not To) Screensavers may no longer be necessary, but there are some really cool ones that are still worth using today. Read More for some extra pizzazz. The Endless Slideshow Screensaver software is a free Windows tool with the powerful options you are looking for. Windows 10 hasn’t added anything to the default screensaver settings in its control panel. The same old options pop up in the dropdown: 3D Text, Blank, Bubbles, Mystify, Photos and Ribbons. So, think of ESS as the posh alternative. ESS has Free and Pro versions. The free version has enough options on its menu but go for the paid upgrade ($19.95) if you are tempted by 240+ transition effects and unlimited wallpaper downloads. Slideshows come into their own if you are using multiple monitors. You can display a rotating series of wallpapers on the second monitor when it is idle. On a single-monitor setup, ESS gives you a lot of ideas to play around with. You can set up the software to use images from multiple local and network folders. Also, a core feature allows you to download and use images in your choice of categories: Animals, Artistic, Cars, Celebrities, Computers, Flowers, Landscapes, and many more. ESS supports a wide variety of formats — including some RAWS. Set up filters to choose the format you want. You will also appreciate the thought put into the display. The software can use the EXIF information to automatically rotate images. If necessary, it can shrink and stretch to position pictures per the screen space. ESS comes with a bundle of configurable settings. Some features might be locked in the free version. But you can play around with transitions and adjust their delay. Set up the frame, background color, captions and more. Endless Slideshow Screensaver lives up to its name. The sheer number of options also open some creative possibilities. For instance, you can filter files by EXIF data and display a series of specific shots you took with your camera. Or use choice photos to hardwire photography techniques into your brain. Do tell us if you use screensavers. Which is your tool of choice on Windows? What do you think of the Endless Slideshow Screensaver? Explore more about: Screensaver, Windows 10, Windows Tricks.